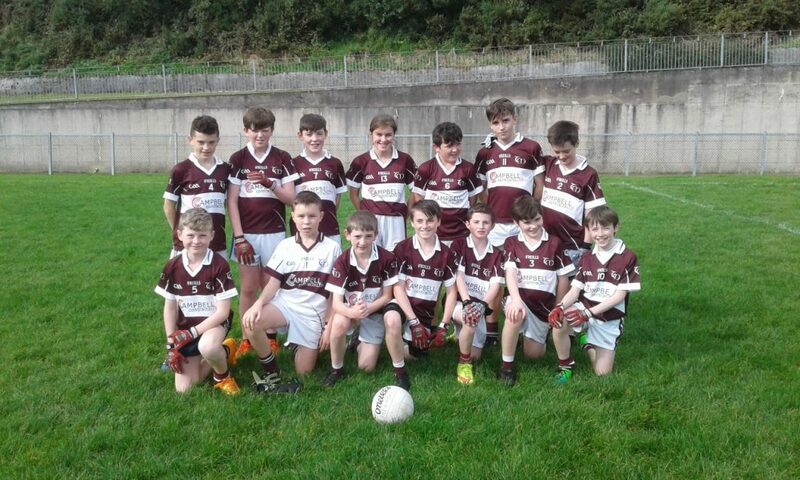 Mixed results for our two u12 teams last weekend, the A team battled hard in the 2nd half against Irvinestown but lost by 3 points, while the B team had a convincing win over Enniskillen B. There is one remaining league fixture remaining for the U12s, the A team meet Kinawley in Tempo at 2pm on Saturday. This game will complete their league fixtures for 2017. The B team have already played all their league fixtures and will possibly finish joint 2nd in Division 4. As other teams in this division finish their round of matches this weekend, the final picture should become clearer early next week. There will possibly be a 2 or 3 way playoff involving Tempo to determine who finishes in second place and therefore plays in the league final against Roslea. Tempo have also been invited again to the end of season Dundas tournament in Lisnaskea. This is scheduled for Sunday 15th October. More details next week. Photo below is the A team who were in action against Irvinestown last weekend.